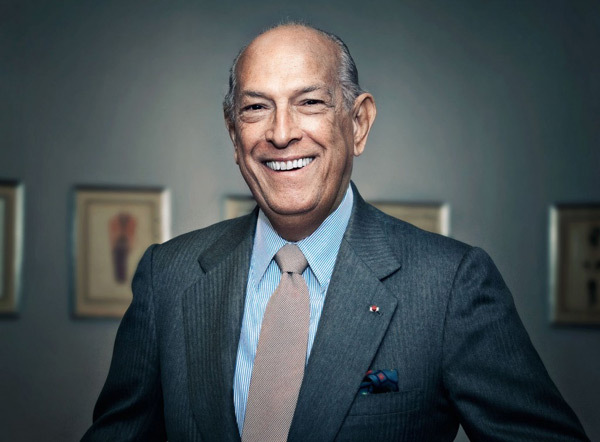 It’s a tragic moment for the fashion industry with the passing of prolific designer and fashion icon Oscar de la Renta yesterday, October 20, 2014. After years of battling cancer since being diagnosed in 2006, his wife Annette de la Renta confirmed the death of the 82-year-old American designer at their home in Kent, Connecticut. Known for his feminine, romantic frocks, de la Renta is hailed as one of the most celebrated designers not only in Hollywood but in the world of fashion. Cameron Diaz, Nicole Kidman, Penelope Cruz, and Kristen Stewart were among the stars who walked down the red carpet wearing his dresses. His most recent coup was the ivory tulle gown for George Clooney’s bride, Amal Alamuddin. Our thoughts and prayers go out to his family and friends during this difficult time. May you rest in peace, Oscar. Your legacy will never be forgotten.